One of the biggest challenges that brands face in social media marketing is gaining and engaging followers. Recently, Cuker was given the opportunity to create and execute social media sweepstakes campaigns for three nationally recognized clients: Eldorado Stone, Red Bull, and Royal Hawaiian. By creating compelling, interactive social media sweepstakes and contests, Cuker was able to attract and engage a significant number of new fans for each brand. In September, the leading manufacturer of architectural stone veneer Eldorado Stone turned to Cuker to create a social media marketing campaign featuring a contest for a $1,000 giveaway towards a home remodeling project. This strong offer, combined with compelling creative elements that were featured on the Eldorado Stone website and Facebook page, helped to make the contest one of the most successful promotions ever for the brand. After only one month, the contest had increased the brand’s Likes by 600%. 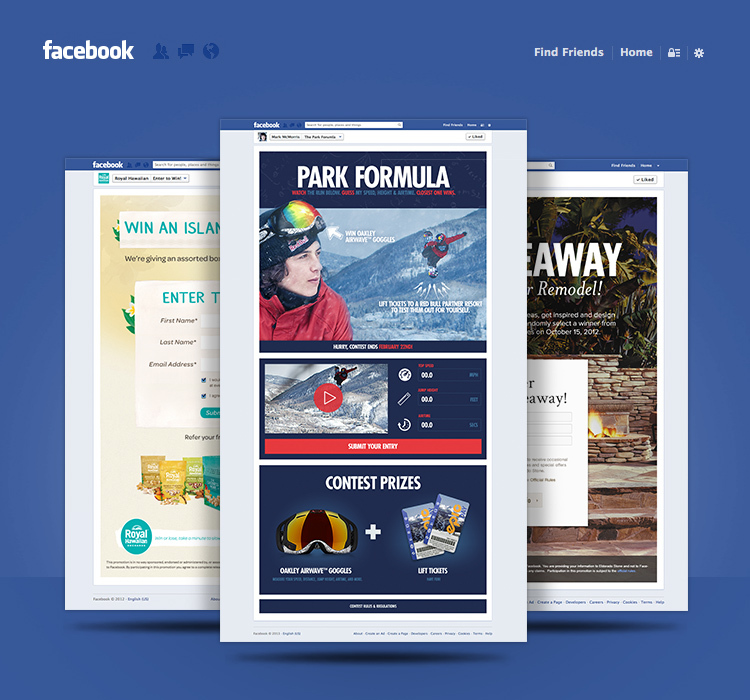 This year, Cuker partnered with Red Bull to create and deploy their athlete and event social media marketing campaigns. The first contest was dedicated to Red Bull sponsored athlete Mark McMorris at the Winter X Games. The contest asked followers to guess the maximum speed, height and airtime of a McMorris ride featured on a YouTube video and was hosted on his Facebook page for one month. The entrant who guessed correctly received a pair of Oakley goggles and lift tickets to a local ski resort. Finally, Cuker helped emerging brand Royal Hawaiian Orchards create a custom social media sweepstakes campaign on Facebook. The contest attracted nearly 5,000 entrants, delivering valuable customer contact information as well as new followers for the brand. The winners, which were selected weekly, received an assortment of Royal Hawaiian’s delicious fruit & macadamia nut crunches as well as their popular seasoned macadamias. The contest created a drastic increase in engagement and reach along with a 5,000% growth in new Facebook Likes. Published on April 2, 2013 .